This journey started in UT’s Autonomous Intelligent Robotics, where I spent last two semesters doing research under Matteo Leonetti. I could describe my work fancily, but I basically made a quadcopter that catches ping pong balls. 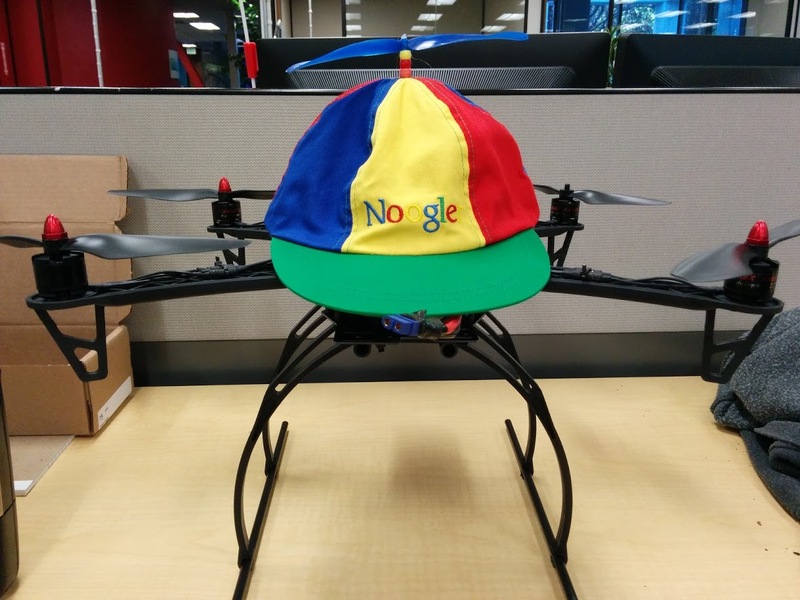 The project ended in success, but that was not the end of my meddling with quadcopters. 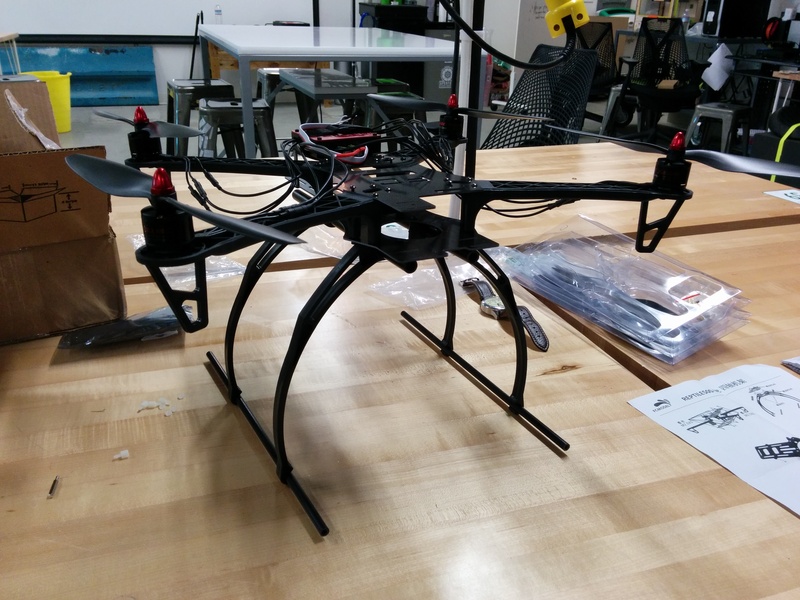 During the year, I got to experiment with the Bitcraze Crazyfly, a small open-source and open-hardware platform; the commercial and easy-to-use AR Parrot Drone; and the oh-so-cheap and oh-so-fun Hubsan X4. You can buy the previous four items as a kit from HoverallRC for $259, they’re awesome and have great support that helped me out throughout the process. 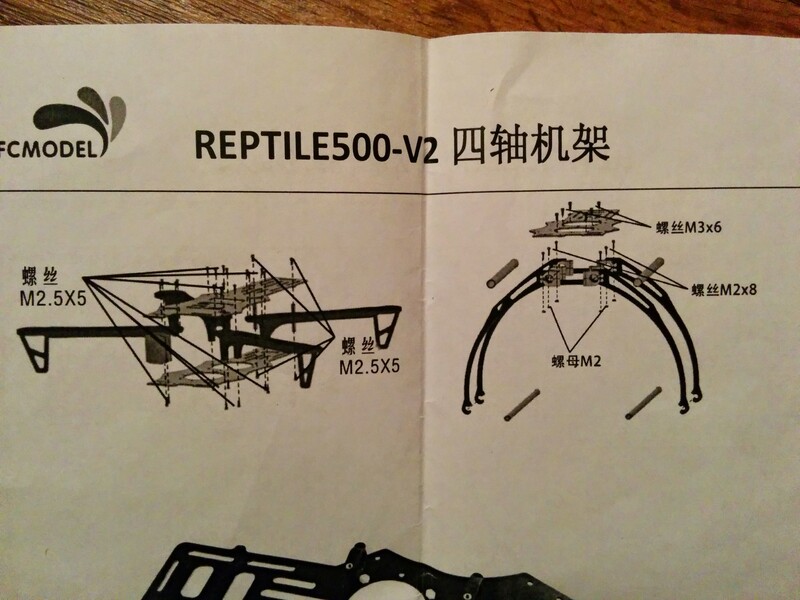 Once you’ve got all the parts, it’s start to get assembling. Building the frame and body is fairly straight forward, but it can be a daunting task considering there are no clear instructions on how to assemble it. The first step is to assemble the frame and the arms, which consists of using many many screws. Word of caution, you are not provided any extra screws so be careful when handling them. 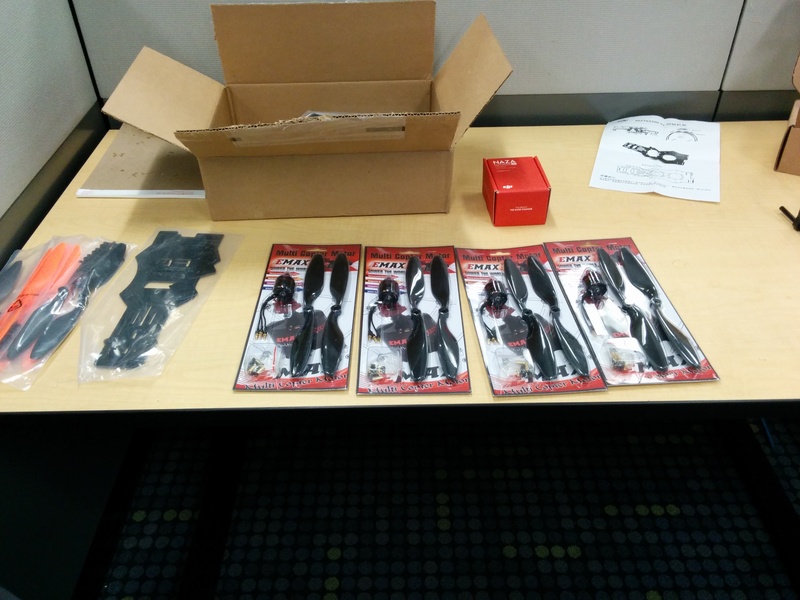 Once you have the body and arms, it’s time to install the motors. In hindsight, it might have been marginally easier to install the motors to the arms before attaching them to body, but either way works. 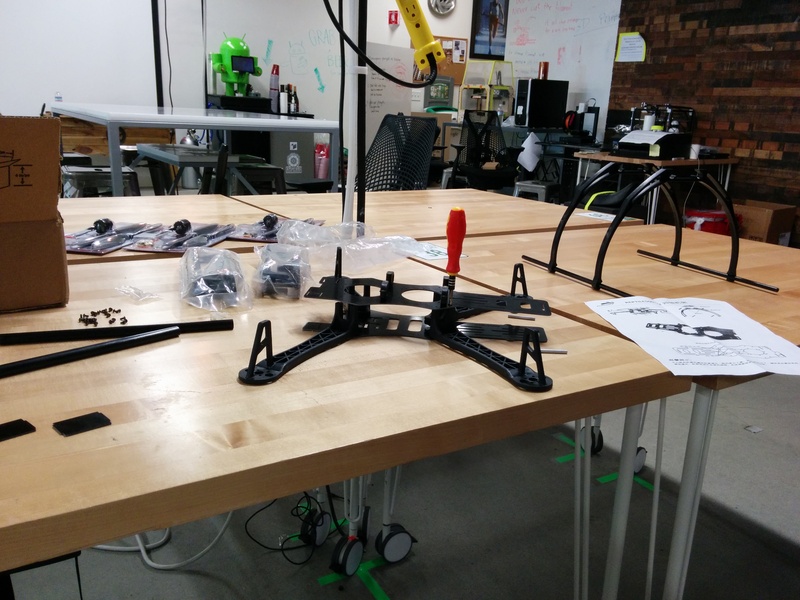 The skids are super easy to assemble, and although they are not necessary, they help you land without damage, and will be necessary if you chose to buy a gimbal and camera. Before continuing, a word about the battery situation. The first thing to know is that LiPo (short for Lithium Polymer) batteries consist of cells that are wired in series. Typical LiPo cells deliver approximately 3.7V. This means that a triple cell (or 3S) battery, like the one I chose, delivers 11.1V. The second number to be aware of is the capacity, in this case 4000mAh. This is measured in amp hours and is analogous to the amount of fuel in a car tank. The third number to be aware of is the discharge rate, this is usually denoted by a capital C. When multiplied by the capacity, the product represents the total amount of amps that the battery can provide at a given time. Furthermore, discharge rate also represents the lower bound for time to discharge. For example, a 1000mAh 20C battery would be able to provide 20A for 3 minutes at full discharge. We can then use a LiPo calculator to predict how much flight time we can get. The battery that I purchased was a 4000mAh 3S 30C, which based on my calculations will give me around ~15 minute flight time. The quadcopter battery on HobbykKing comes with a 5mm bullet discharge connector. 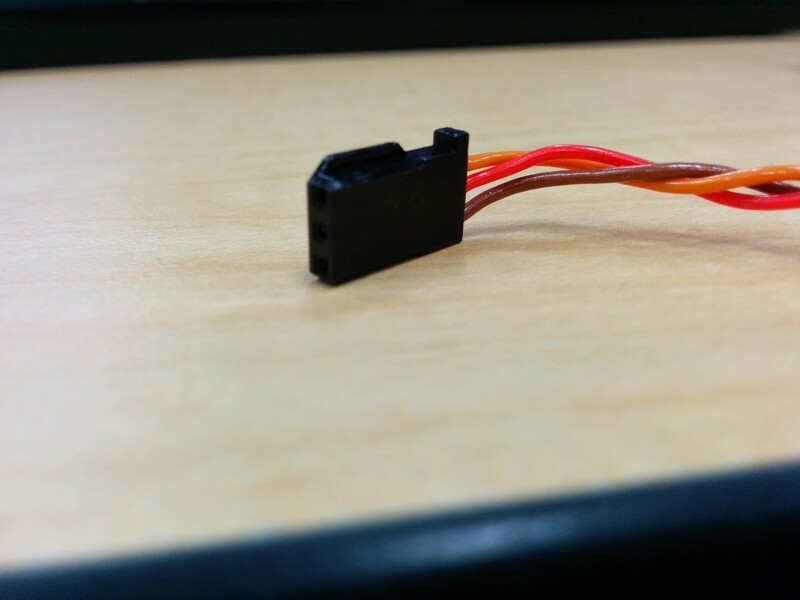 This is not the most common connector, so I decided to switch it for an XT60 connector. 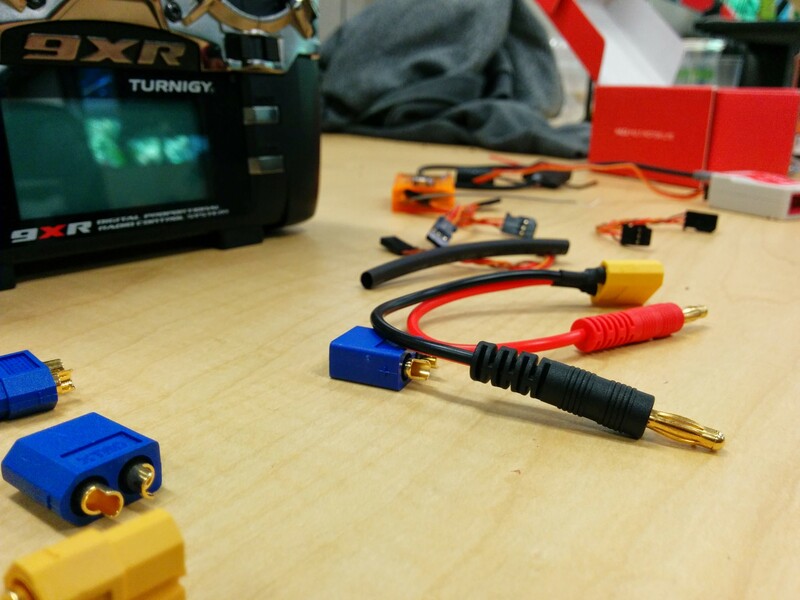 XT60 is fairly common and is used in many RC products, including the charge lead that comes with the hobbyking charger. 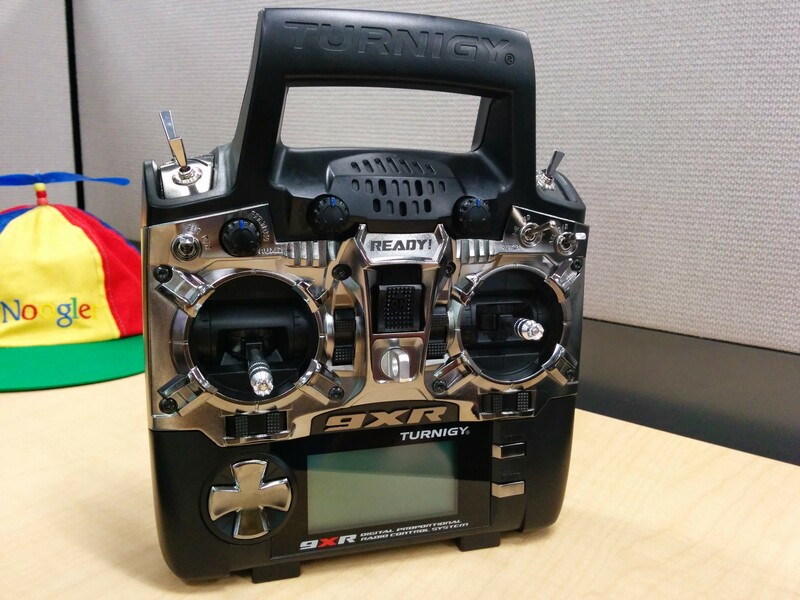 Once you’ve got the battery with the right connector, it is time to start work on the actual components of the quadcopter. The first step, while you still have the soldering equipment nice and hot, is to solder the battery connector to the ESC and Naza VU. This procedure is almost identical to setting up the XT60 connector on the battery without the need to have to cut any wire, since the ESC comes with exposed copper tips. The next step is to connect the radio receiver to the flight controller. 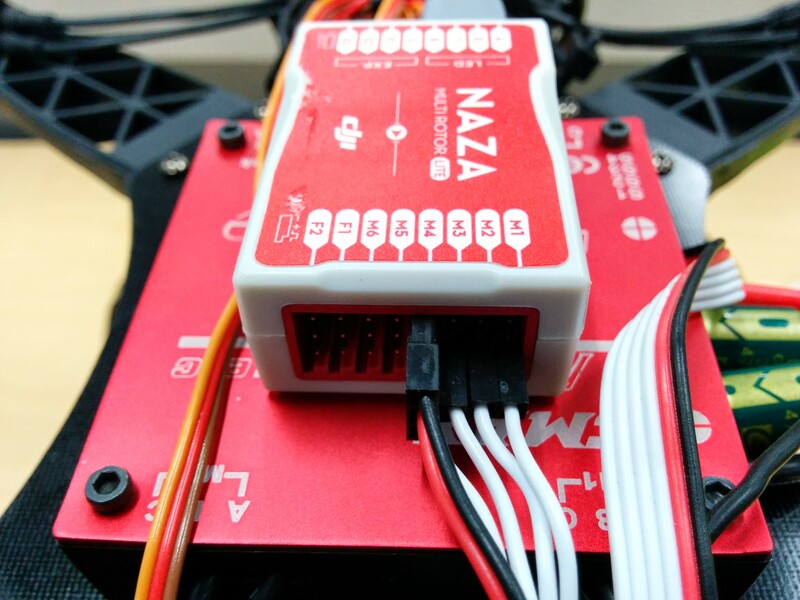 The Naza M comes with all the required connectors, except that they won’t fit into the OrangeRX because of a little ledge to determine orientation. In order to use the provided cables, you’re going to need to trim that ledge off on one of the sides. You can do this either with some scissors, a knife, or large nail clippers. Do this for at least 6 of the cables. You find wiring diagrams on page 8 of the Naza M Lite manual for other receivers. 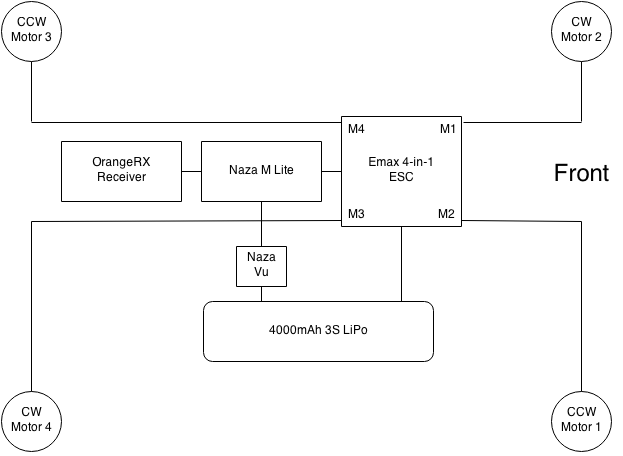 It is important to note that the Naza M connectors expect (from top to bottom): ground, power, data; whereas the OrangeRX connectors expect (from top to bottom): data, power, ground. This just means that you want to have each cable “flipped” by rotating one connector 180 degrees. 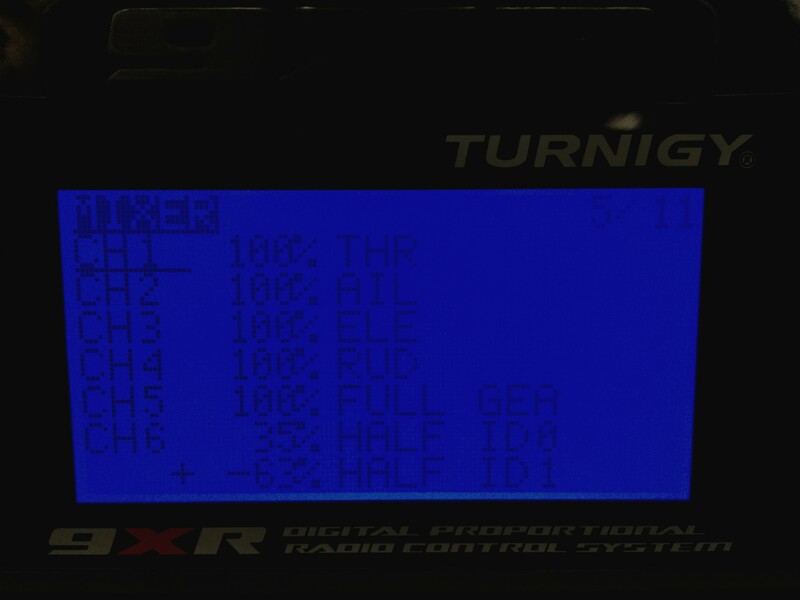 If you wired the channels like I suggested, then make sure you set up your controller channels the same. Do not worry about the mode switch yet, we will set it up later. The next step is to connect the ESC to the Naza. This requires connecting the three single white wires out of the ESC into the corresponding ports for M1, M2, M3; and connecting the cable with white, red, and black connectors to M4. The ordering of the wires/cables is drawn on the ESC. We must now connect the provided LED driver that came with the Naza to the LED port. Unlike the other ports on the Naza, the LED port is horizontal and can be found above the AETR connectors. The LED driver is required because it provides a micro USB connector, which is used to set up, diagnose, and calibrate the flight controller, as well as visual representation of which flight mode you are in, and warning when your battery level is low. Lastly, we must connect the VU to the X3 port on the Naza. 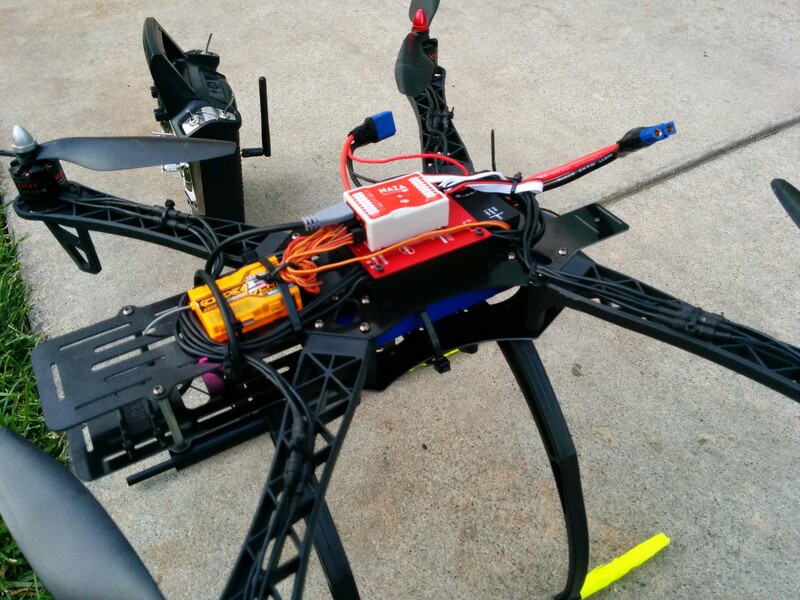 If everything went well, the flight assistant software should be able to recognize your flight controller! 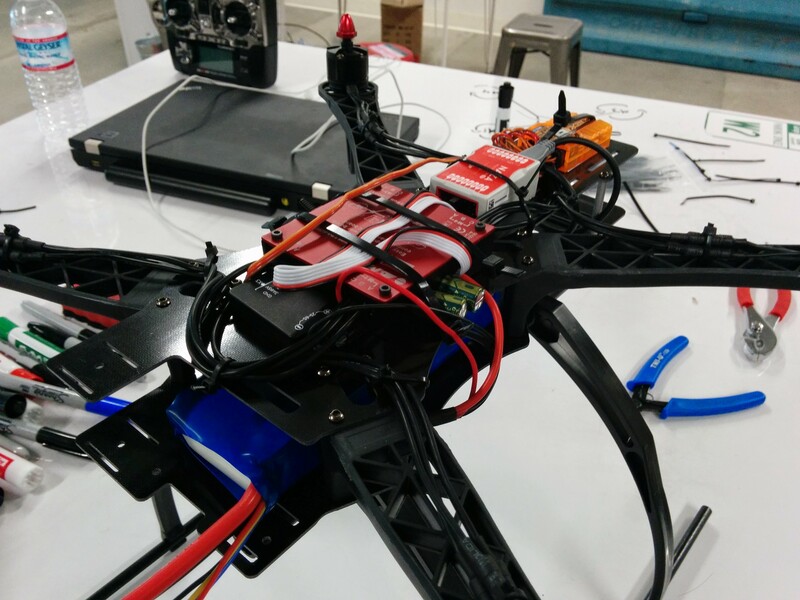 Now that you have verified that your components work and your flight controller is set up correctly, it is time to put it all on the quadcopter! Mounting all the components on the quadcopter will require some patience, zip ties, and strong double sided tape (some is provided with Naza M). This part is left as an exercise to the reader, mainly because there is no perfect way of setting it up. In fact, I’ve gone through various iterations of my set up. My first design consisted of a lot of zip ties, and I mean a lot. I zip tied everything to the body and to each other. Although the construction was solid, my flight controller was too far off the center of gravity so hovering in place was hard, and the quad would drift. As I result, I got rid of all the zip ties, replaced them with strong double sided tape, and re-organized the components so that the flight controller would be in the center. This design is much more solid than my first try, and remains my current design. At this stage, you are ready to fly! 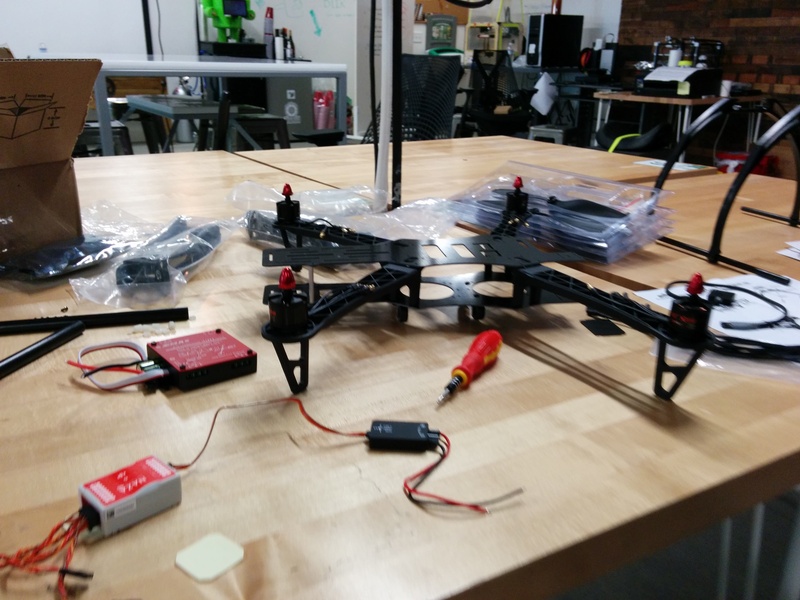 Before your first flight (and every flight really) make sure that all the components are in place, that all your screws are tightly screwed, and that all your connections are firm. Find a wide open area, away from people and animals, preferably with little to no wind. Flying skills are beyond the scope of this post, so I trust you have them! 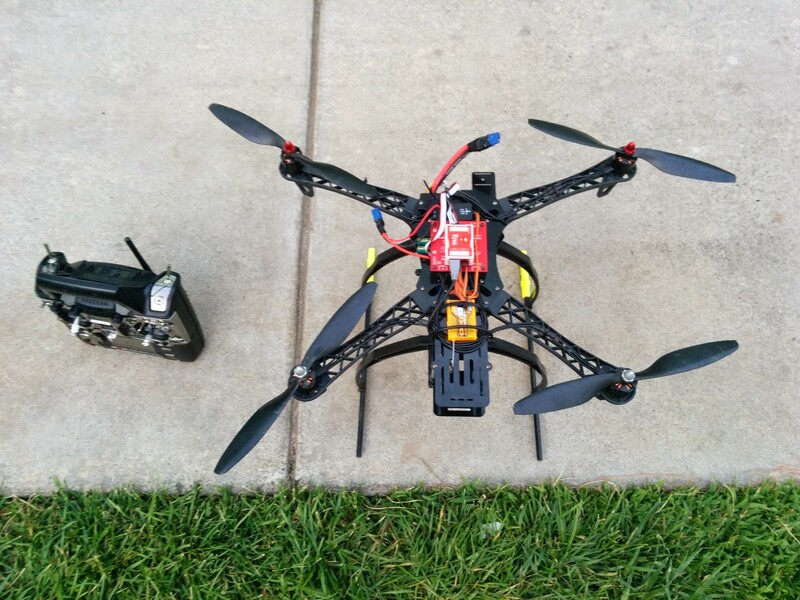 Building the quadcopter was truly a great journey for me, lasting little over three weeks. During my journey, I learned a lot about how radio controlled vehicles communicate, how LiPo batteries work, about the importance of correctly balancing and identifying the center of gravity, and about quadcopter flight. Furthermore, I was able to meet a lot of interesting people that I either met at Google’s Garage while building it, or the people that I met while flying. So did I meet my original goals? Learned about radio controls, LiPos, 3D flight, and much more! Met amazing rc enthusiasts and pilots! Once I attached my GoPro I was able to record some great footage! Overall, I am extremely satisfied with what I have gained for $500: new knowledge, new friends, new hobby, and of course a new toy!